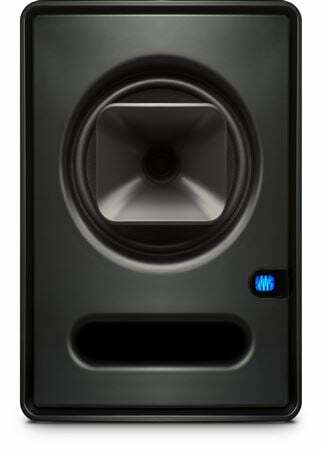 Shop PreSonus Sceptre S6 Powered Studio Monitor from AMS with 0% Interest Payment Plans and Free Shipping. The first time you hear the PreSonus Sceptre S6 Powered Studio Monitor, you'll discover fine nuances of your music that can't be reproduced by conventional designs. The Sceptre's panoramic soundstage, fine detail, and stunning dynamics will astonish you. This exceptional performance is the result of an advanced coaxial design that works integrally with a 32-bit processor running Fulcrum Acoustic’s TQ™ Temporal Equalization Technology™. The sceptre (or scepter) is the age-old symbol of royal authority. PreSonus Sceptre CoActual studio monitors do indeed provide sound quality and control worthy of the highest levels of aristocracy-but they're priced for the bourgeois project-studio owner. A four-position Acoustic Space switch controls a second-order shelving filter centered at 100 Hz, with four attenuation settings (no attenuation, -1.5 dB, -3 dB, and -6 dB) so that you can account for the boundary bass boost that occurs when the monitor is placed near a wall or corner. If you don't want to roll off those lows, set it to 0 dB. Monarchs of old wielded their scepters as a sign of authority over their realm; with PreSonus Sceptre studio monitors, you can assert sonic control over your realm. Thanks to coaxial design done right; you can hear your tracks and mix better than ever before. And you don’t have to pay a king's ransom to wield them!